The main premise of all sales is that people buy from people they "like" and those they "trust." Of course, it is possible to build and maintain trust through electronic interaction, but time and time again it's proven that customers need some face-to-face contact to solidify the relationship. Along with that, bringing customers into your environment gives them a first hand opporutnity to see the product or service you are offering. 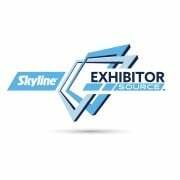 Portable & Modular Exhibits for Trade Shows and Events! 1. A Plan - have a well thought out plan of what you want prospects to gain from their experience and how you will deliver. 2. The Right Opportunities - make sure you are attending the right shows and events. The easiest way to do that is simply ask your current customers which shows they are attending and why. 3. 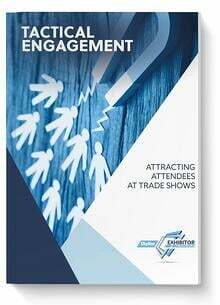 A Compelling Presence - an attention-getting trade show booth or display graphics will make you stand out in the crowd and draw prospects in to engage with you. 4. A Personal Connection - a face-to-face conversation with a potential customer builds a bond of trust that leads to a lasting business relationship, thus improving sales. 5. Follow-up and Evaluation - measure your results and follow-up fast on your leads and inquiries. 6. A Team - build a strong team to help manage the details a face-to-face marketing presents. In the current business climate it is more important than ever to build and maintain trust with your prospects and customers. Creating an inspiring and memorable Face-to-Face Marketing experience is one of the best ways to do that.